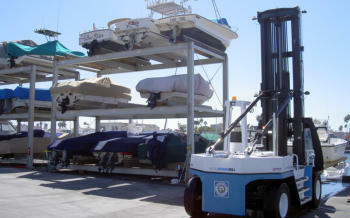 Lido Peninsula is a unique blend of modern yacht facilities including drystack boat storage, shipyard services, commercial and marine related businesses, yacht brokers and dealers. Home to a number of local businesses, Lido Peninsula serves as an outpost and hub for yachting, marine, and commercial activity. Lido Yacht Anchorage is located in Newport Beach, a five-mile-long harbor, dotted with seven islands and hundreds of million dollar homes. This boater's playground attracts visitors from all over the world and has many different locations of interest to boaters, each with its own unique attractions. Lido Peninsula is a world class marina in Newport Beach, CA located in historic Newport Harbor. Lido Yacht Anchorage is home to the largest slips in Newport Harbor, with capacity to accommodate vessels up to 135’ in length. 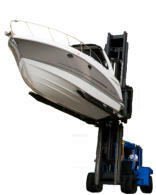 We are also home to Southern California’s only Drystack Boat Storage facility on the water with capacity for boats up to 40 feet. Lido Peninsula is a world class yacht facility in Newport Beach, CA located in historic Newport Harbor. Lido Yacht Anchorage is home to the largest slips in Newport Harbor, with capacity to accommodate vessels up to 135’ in length. 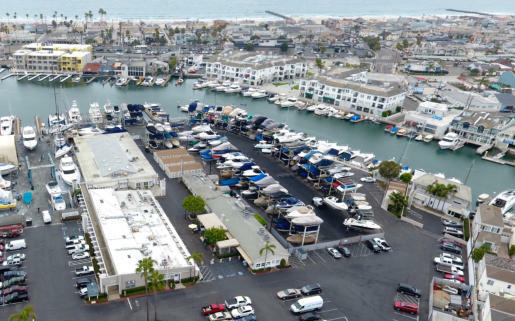 We are also home to Southern California’s only Drystack Boat Storage facility on the water with capacity for boats up to 40 feet. Lido Peninsula is a unique blend of modern yacht facilities including drystack boat storage, shipyard services, commercial and marine related businesses, yacht brokers and dealers. Home to a number of local businesses, Lido Peninsula serves as an outpost and hub for yachting, marine, and commercial activity. Lido Yacht Anchorage is located in Newport Beach, a five-mile-long harbor, dotted with seven islands and hundreds of million dollar homes. This boater's playground attracts visitors from all over the world and has many different locations of interest to boaters, each with its own unique attractions. Lido Peninsula, located on Balboa Peninsula is home to Lido Yacht Anchorage as well as a unique waterfront shopping area and the city's largest shipyard and marine services complex.